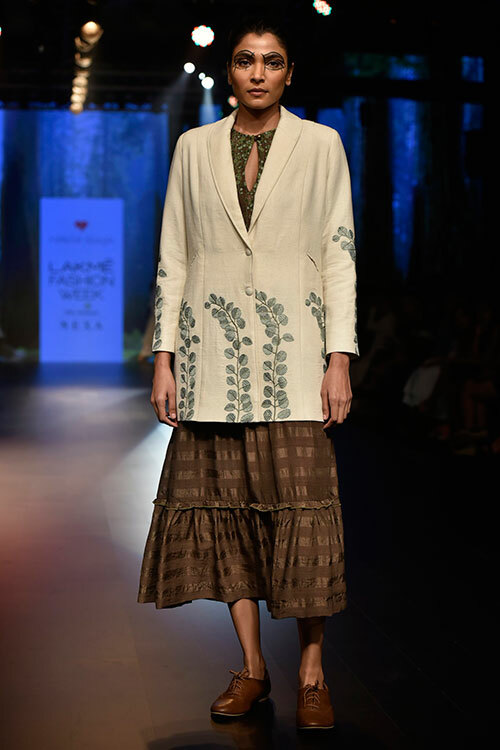 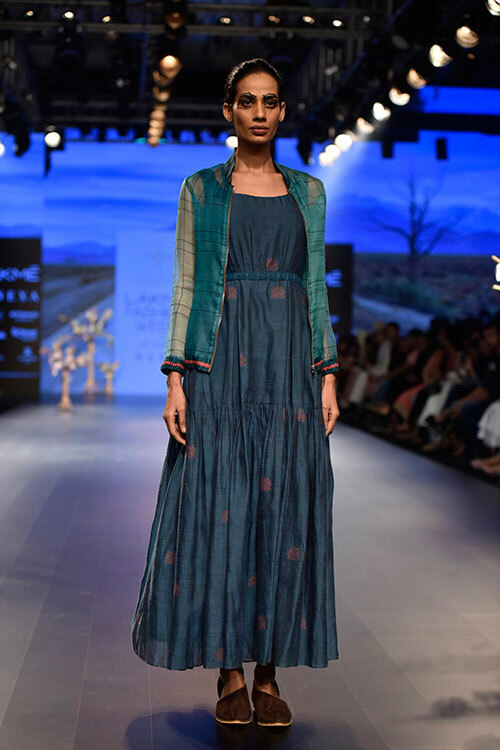 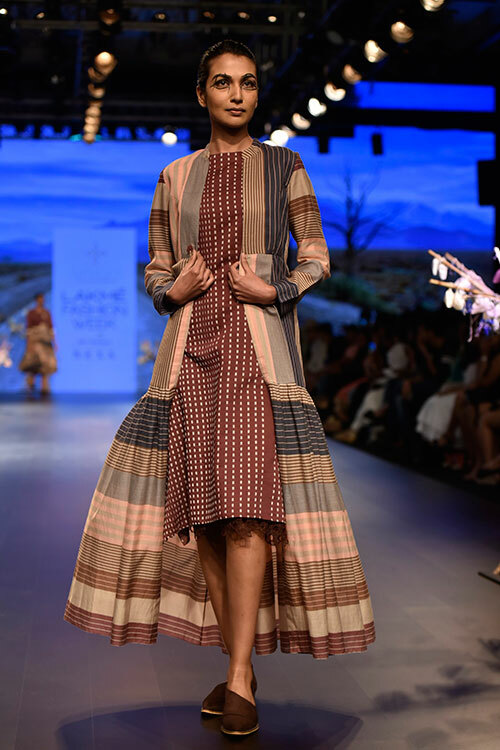 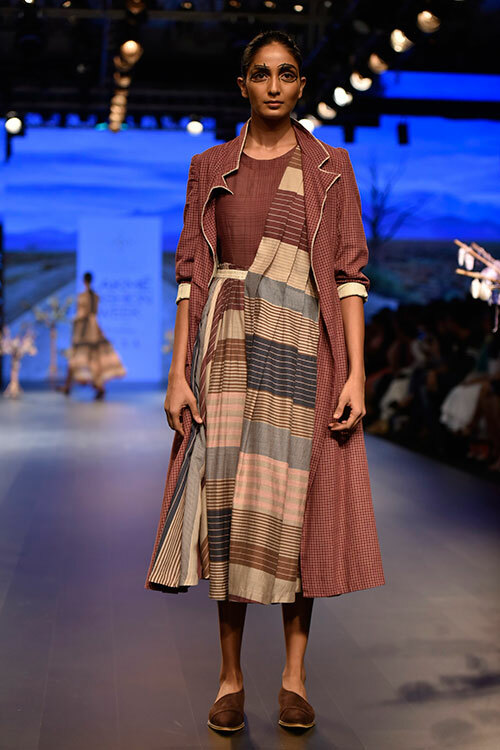 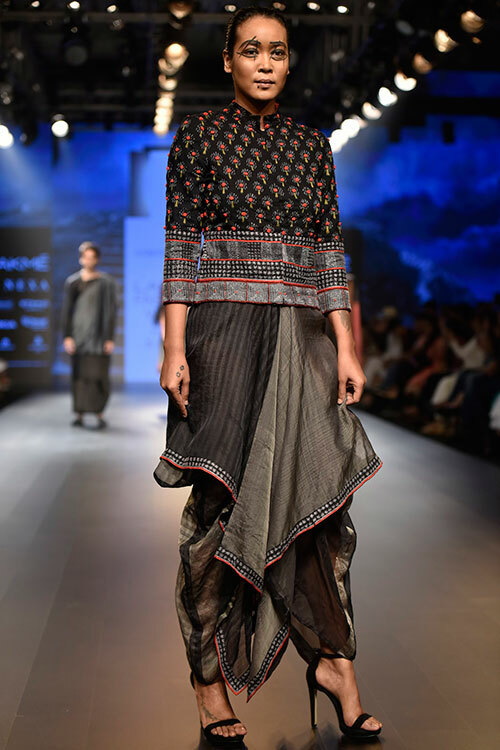 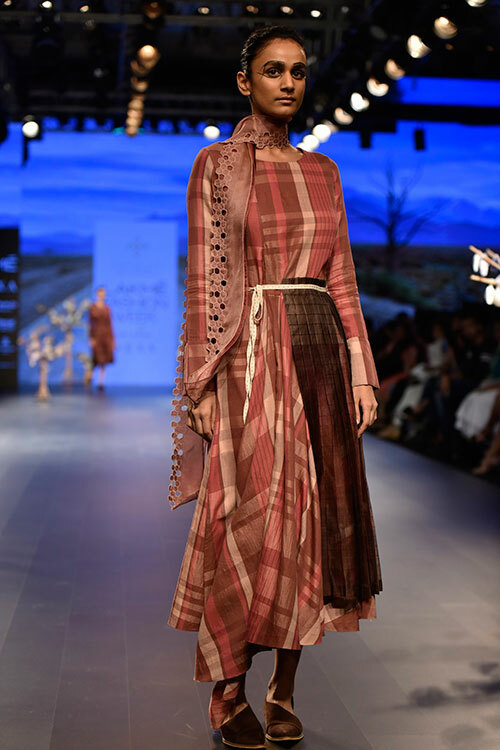 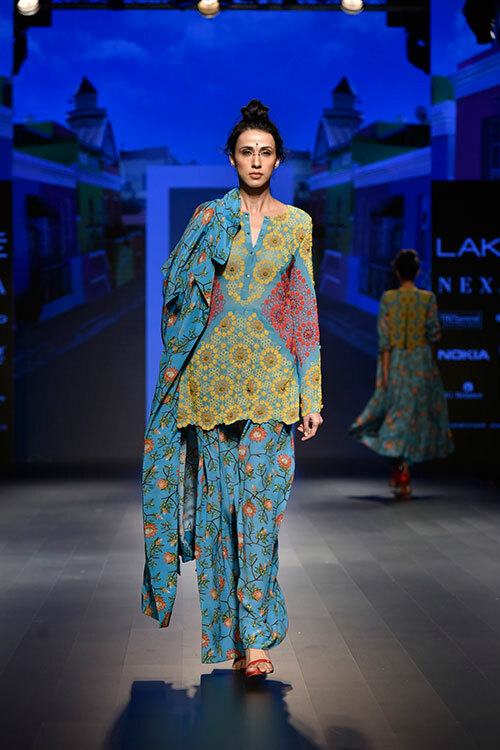 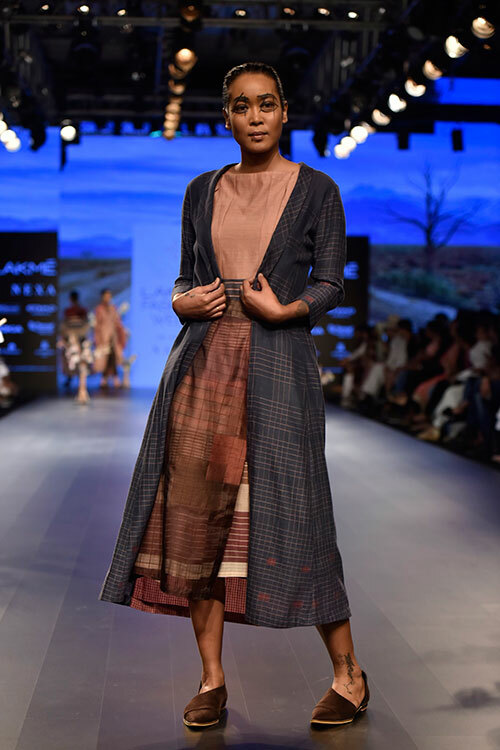 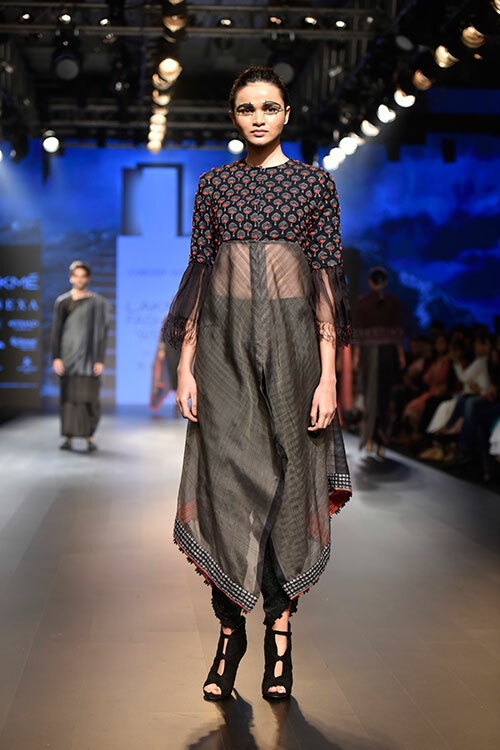 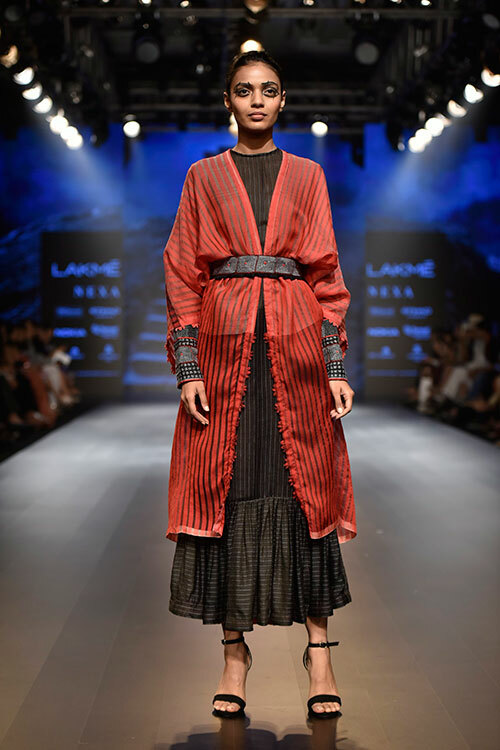 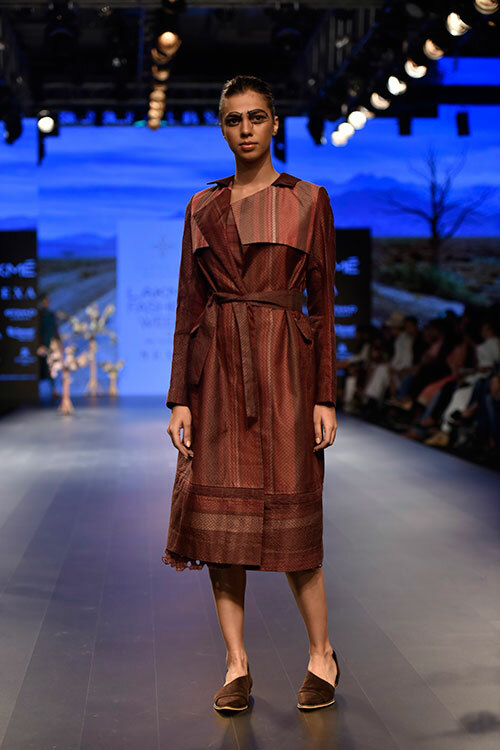 When she first showcased her creations during the Gen Next segment at Lakmé Fashion Week Summer/Resort 2017, Nakita Singh was immediately hailed as a designer to look out for because of her fantastical aesthetic. 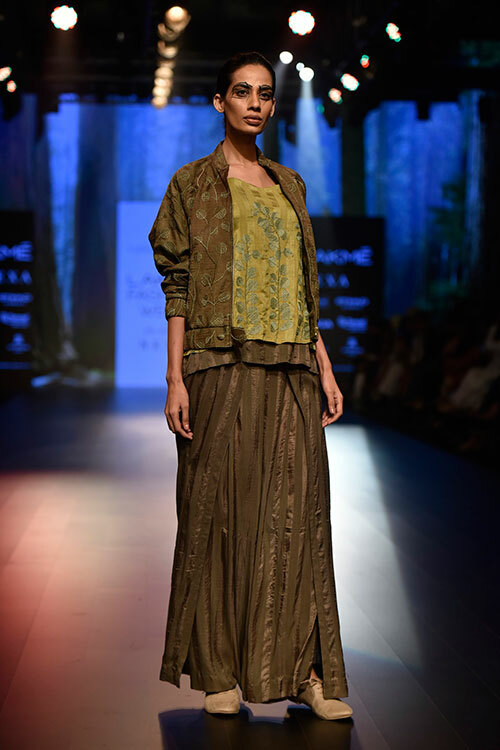 This season, titled ‘Wilderness’, her collection was inspired by the glorious prospect of wanderlust intensified by the beauty of verdant flora. 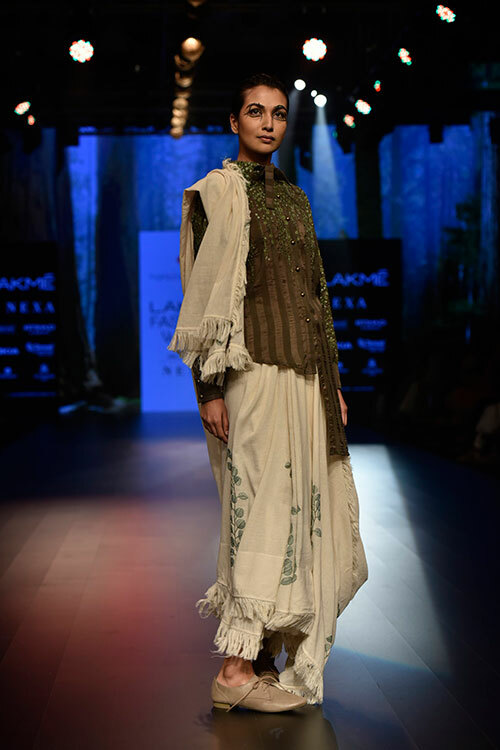 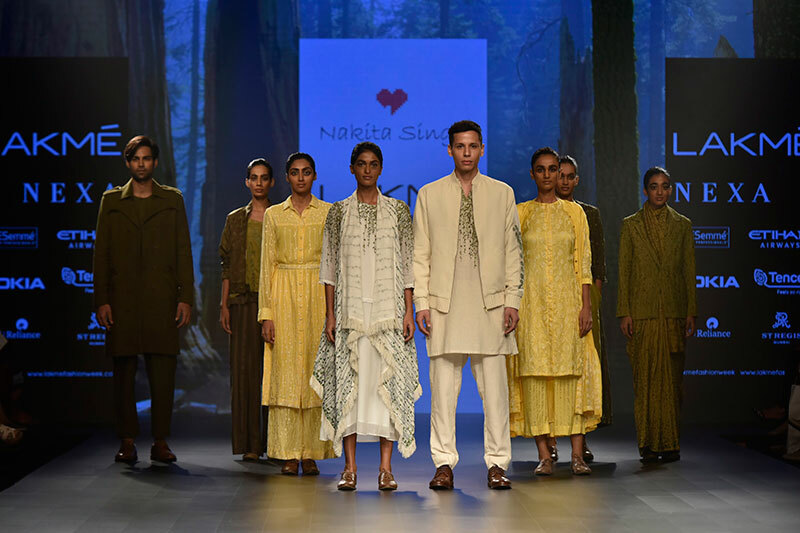 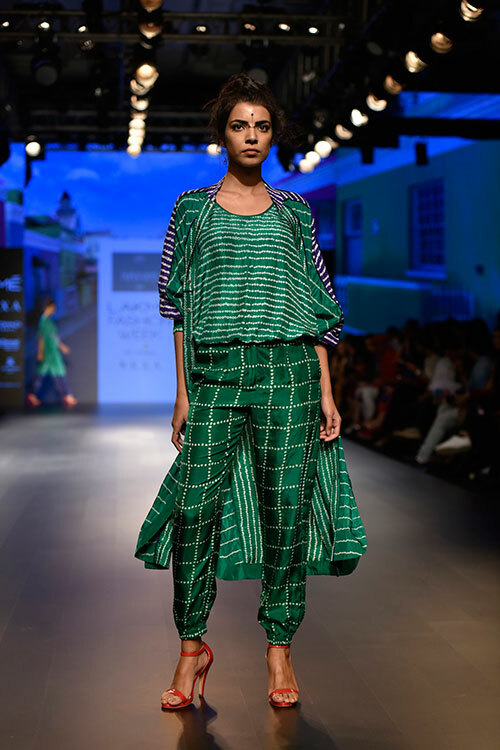 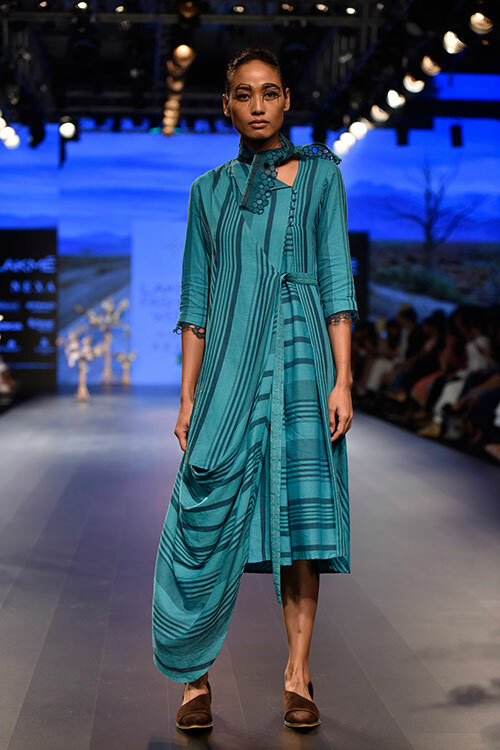 Weaving a story around various shades of green, the show began with light-coloured ensembles and progressed towards a darker colour palette, almost as if Singh were trying to draw your attention to the chronology of nature. 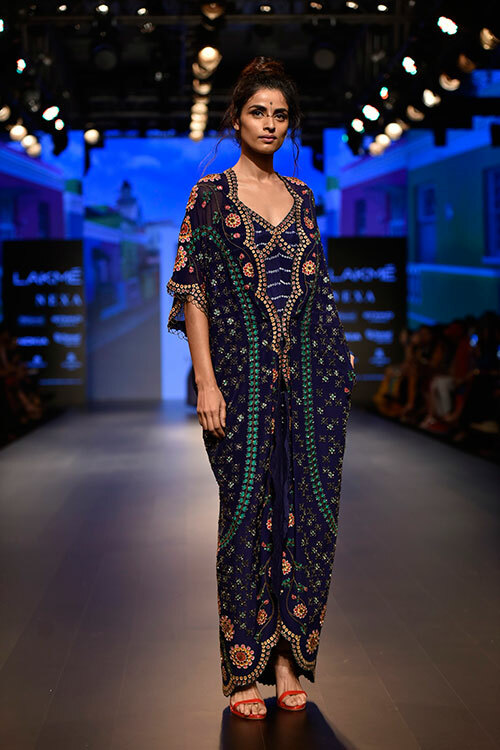 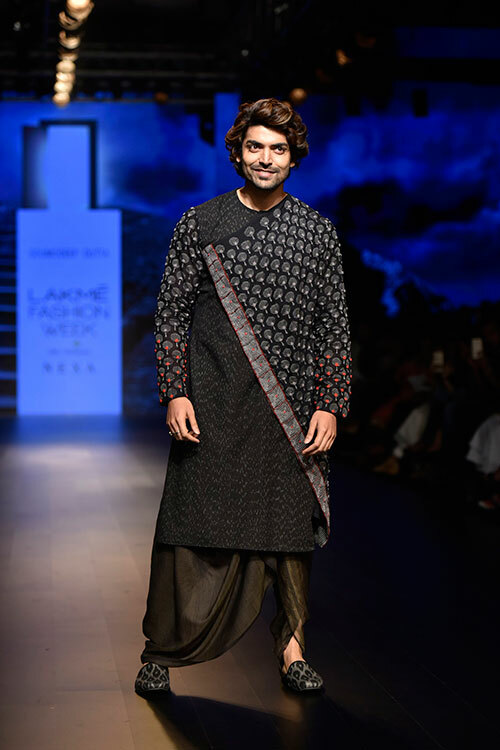 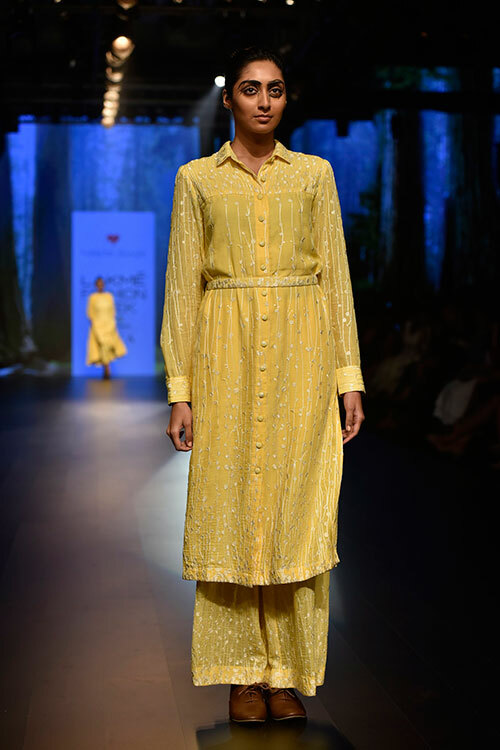 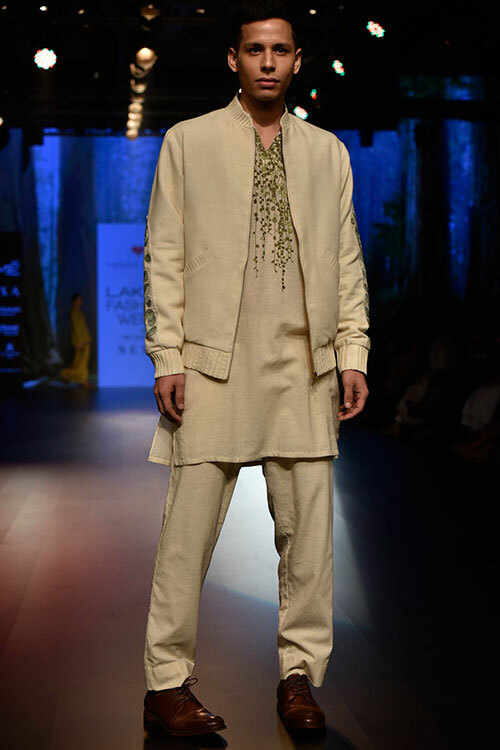 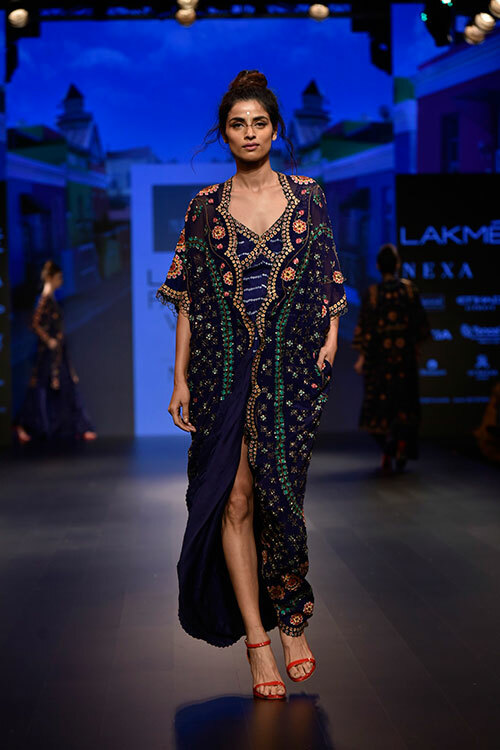 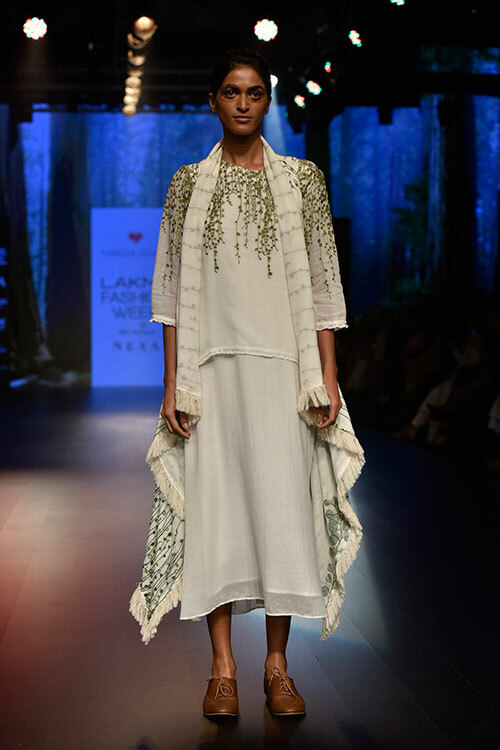 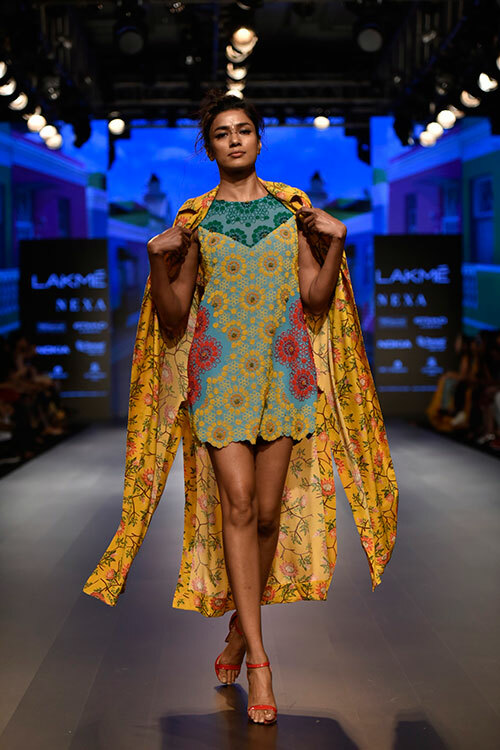 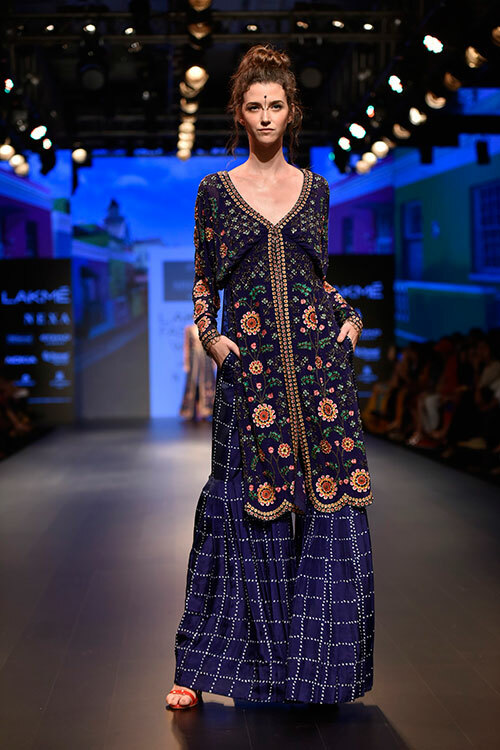 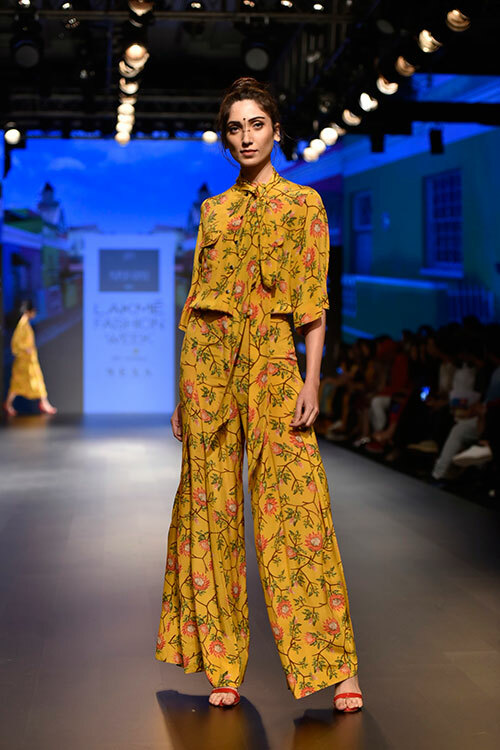 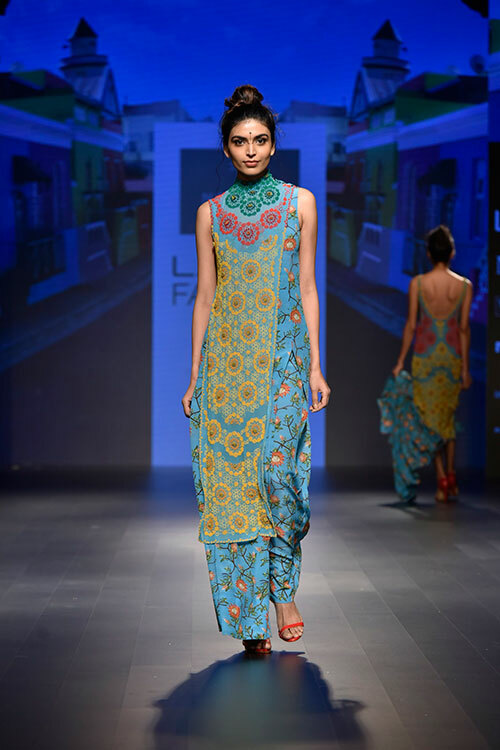 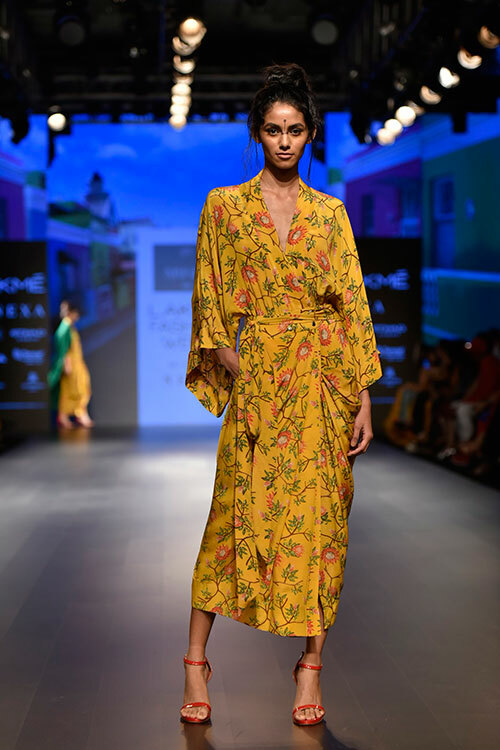 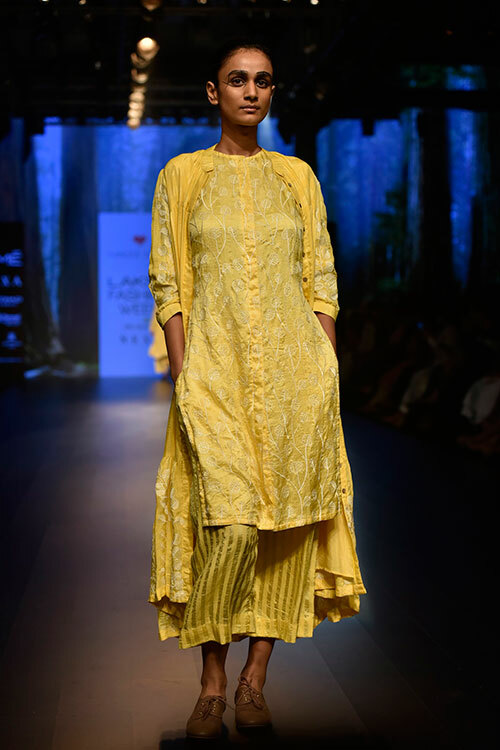 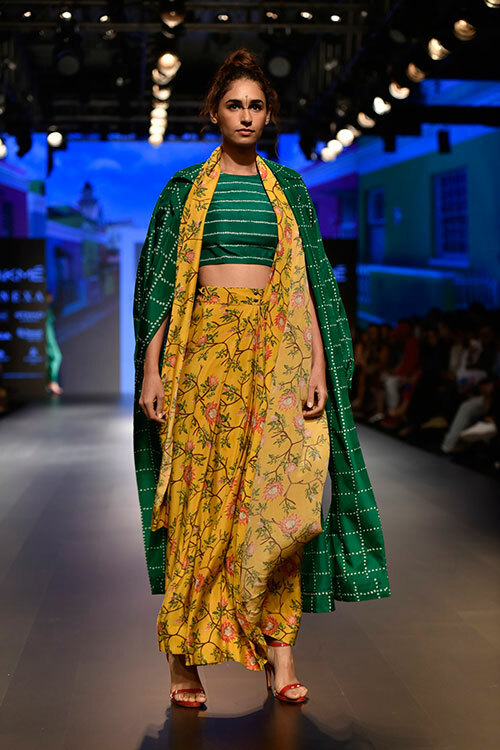 Dutta looked to the Buddhist philosophy related to the lotus for his Winter/Festive 2018 collection which was an analogy of contrasting elements. 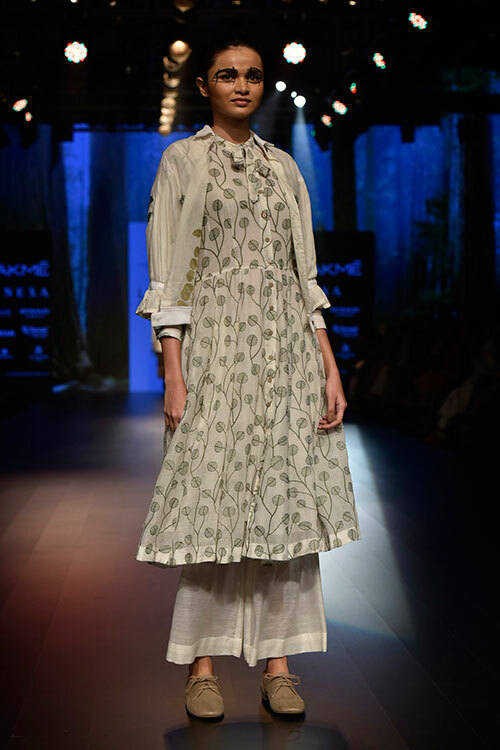 The flower has its roots in muddy water but rises above the slush to bloom, clean and fragrant representing a sense of purity and enlightenment. 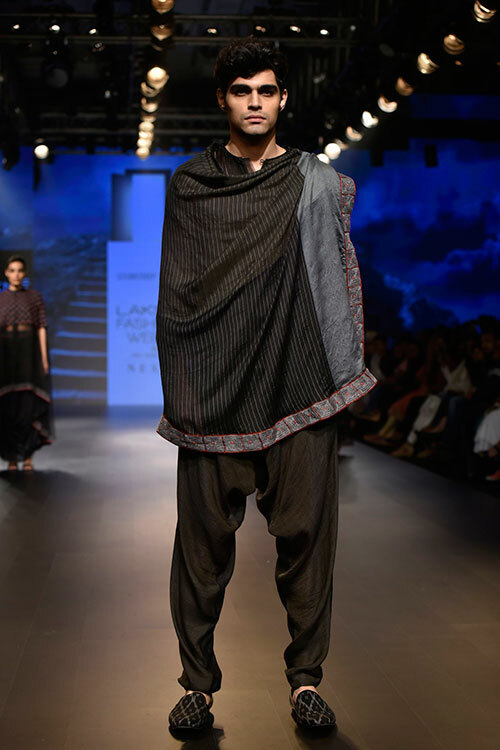 Accordingly, Dutta’s ensembles featured blacks and greys against reds and whites on capes, dhoti pants, one-shouldered togas, cholis, ponchos and short jackets. 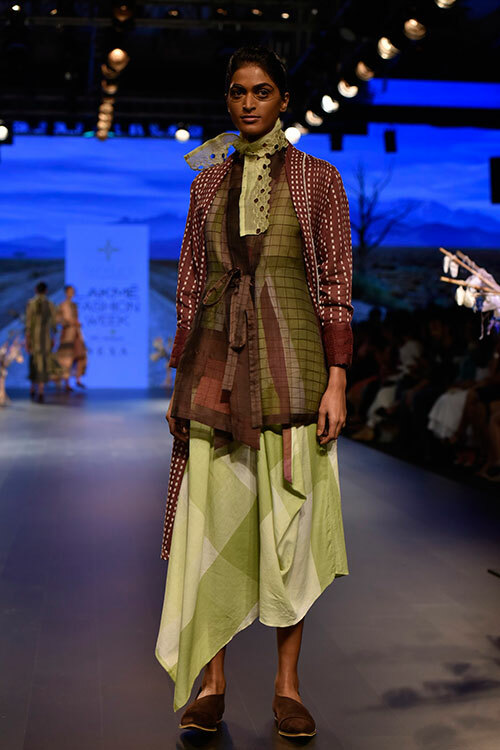 Layering seemed to be the order of the day for designers Shweta Tania and Priyangsu Maji whose collection took after the arresting Irish landscapes and the country’s romantic demeanour. 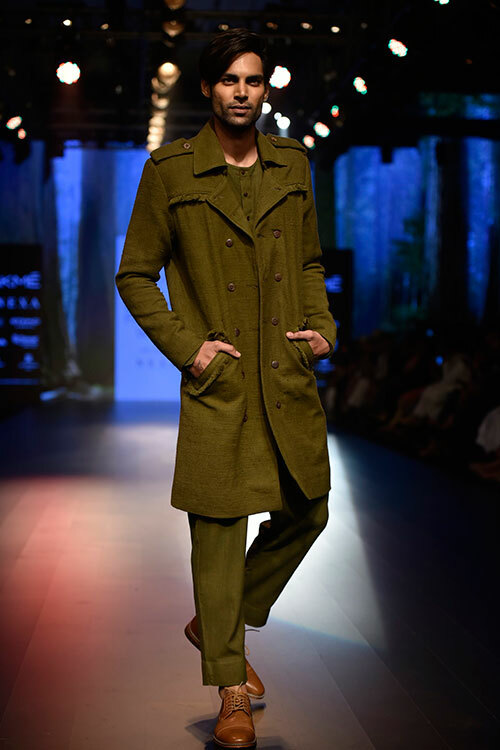 Jackets and trenches were part of every outfit presented while the front and rear overlapping yokes created interesting silhouettes. 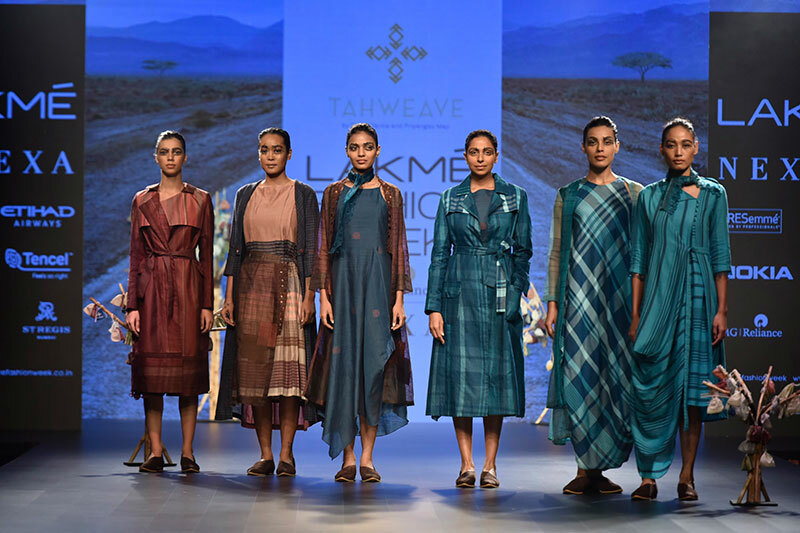 Employing natural, hand-woven fabrics like cotton, sheer silk organza and wool, Tahweave set the perfect tone for pleasant winter evenings with clothes that both looked and felt snug. 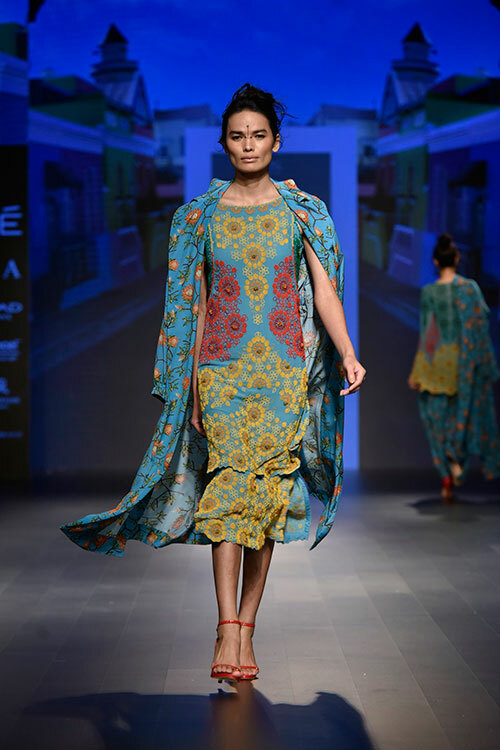 Exploring the eclecticism of Cape Town in all its nautical, bohemian and chic glory, the designer presented her latest line of garments to a discerning audience. 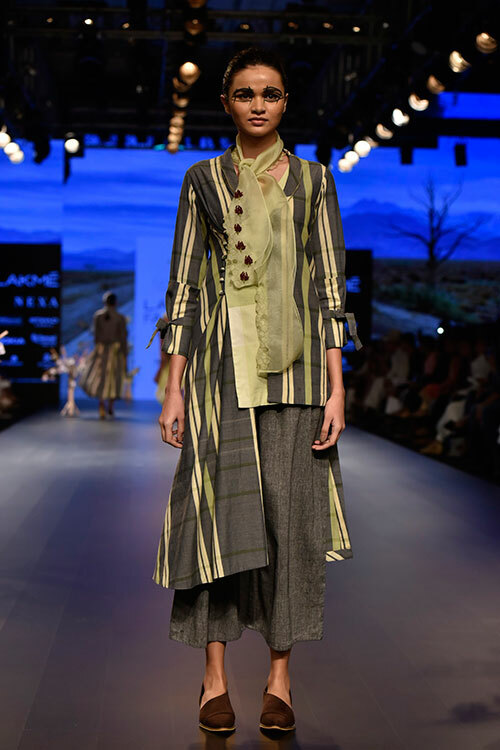 Kanoi used her clothes as a canvas and painted a pretty picture of the South African capital, right from early luncheons at lush green vineyards to sunsets by the bay. 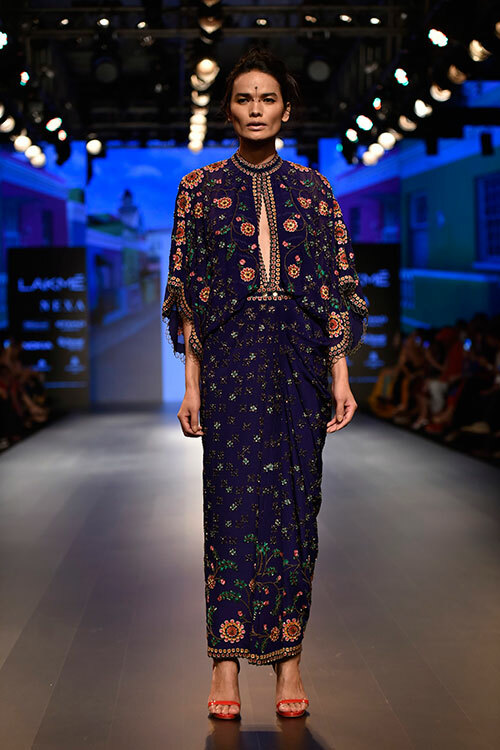 Correspondingly, the colour palette began with cerulean blue, progressed to bright mustard and finally ended with midnight blue, with floral prints running through the entire capsule. 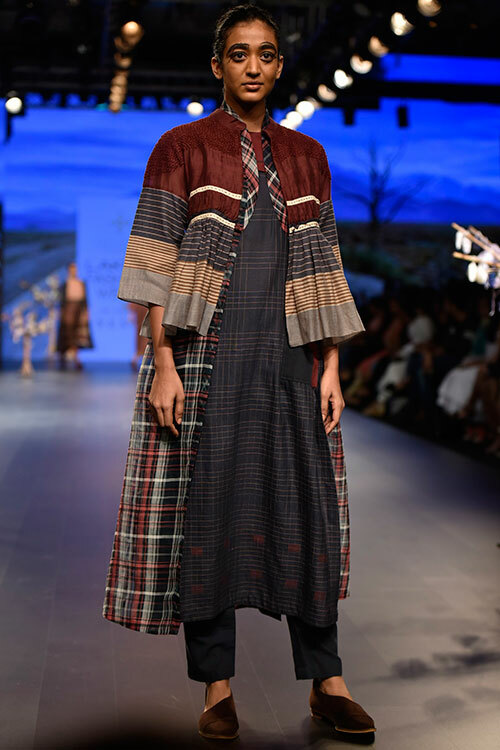 We appreciate how the designer amalgamated androgyny and wearability to give us a collection that is inventive, yet relatable. 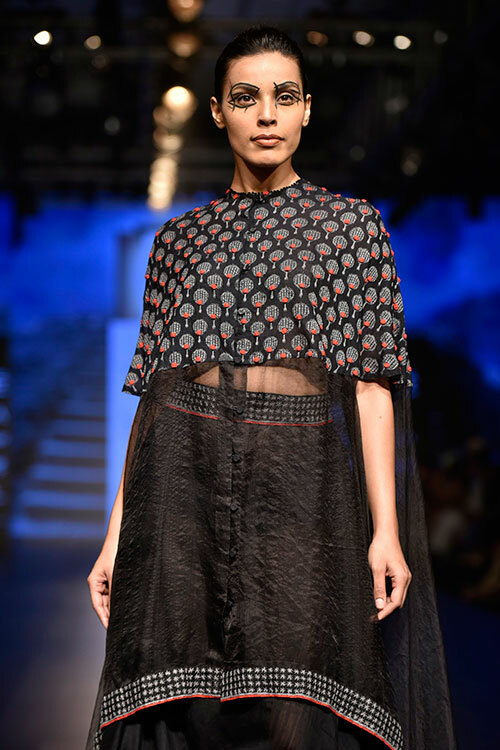 Think of prom night, then multiply it into 100 — that’s how Monisha Jaising’s models came out, dressed to the nines in shimmering gowns and cocktail dresses. 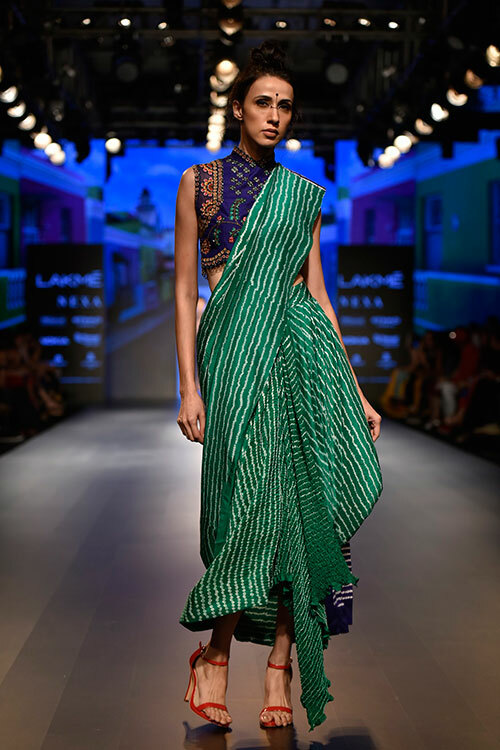 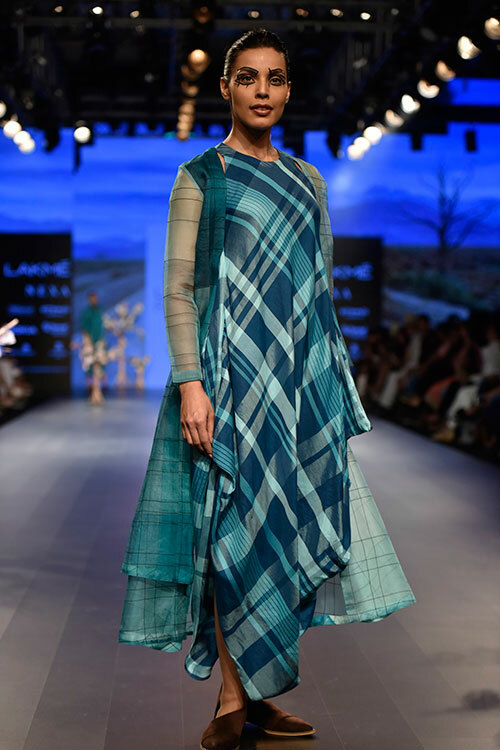 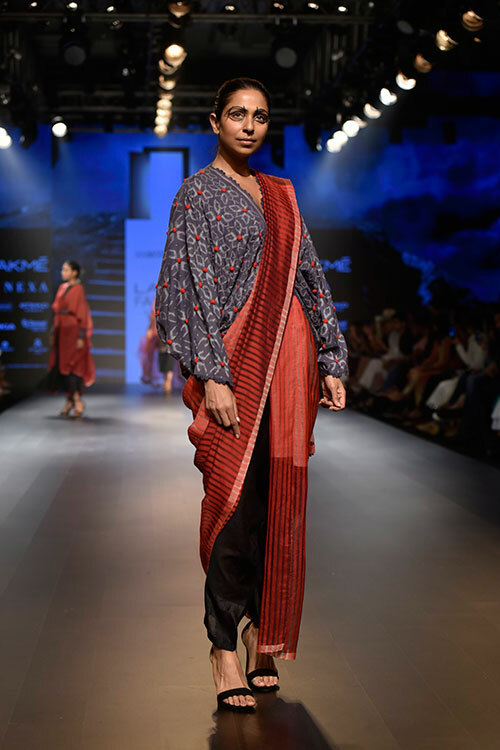 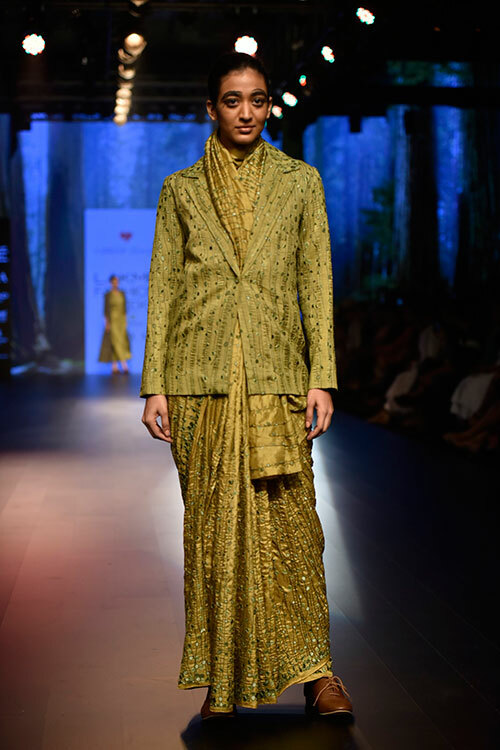 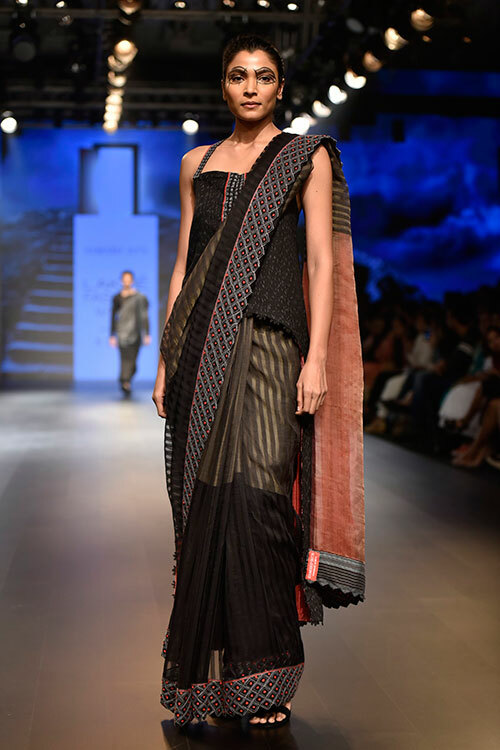 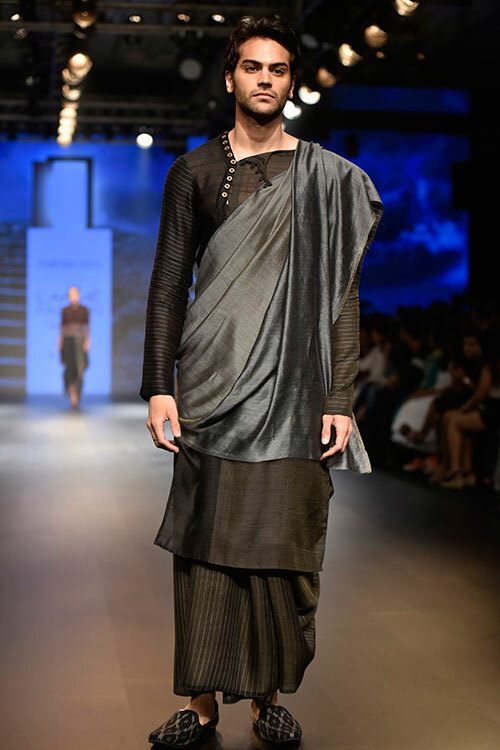 The colour palette comprised solid hues with sharply tailored foil tops and intricately beaded sari hybrids representing Jaising’s versatility as a designer who effortlessly straddles the line between traditional and western silhouettes. 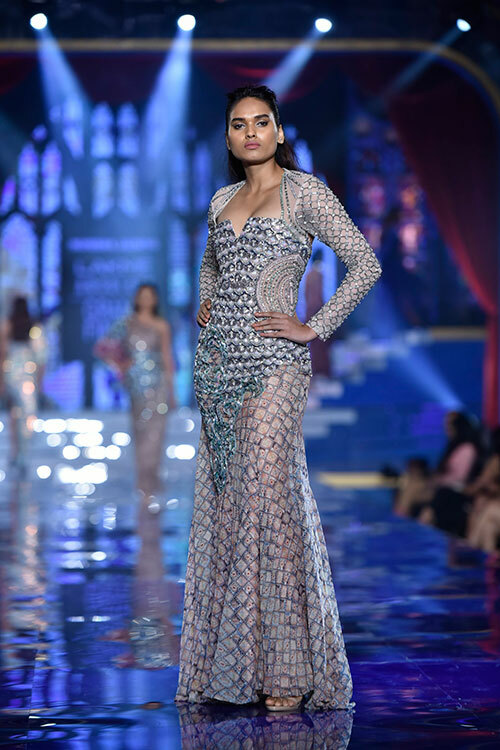 Showstopper and Lakmé brand ambassador Kareena Kapoor Khan ended the show in an iridescent pleated gown that alluded to the brand’s beauty theme of the season ‘Shades of a Diva’. 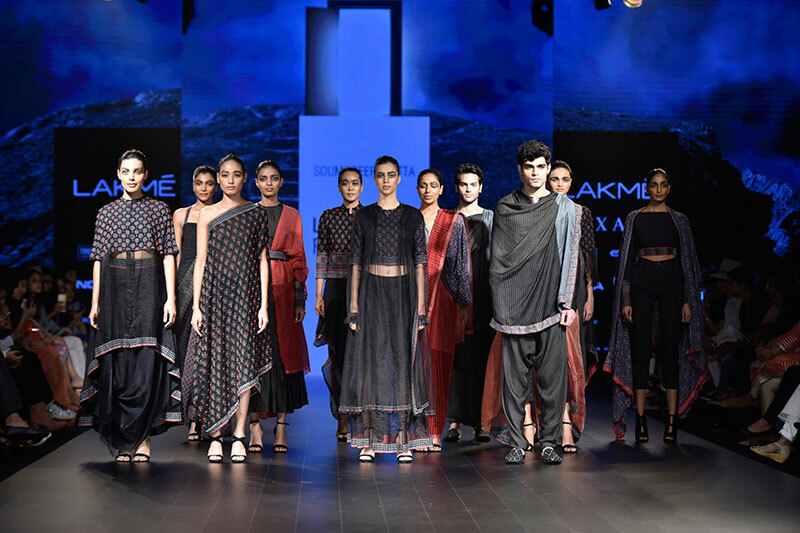 Adding to the grandeur of the event were nine artists from Cirque du Soleil who set the stage for a power-packed finale with sequences from their newest show ‘Bazzar’ which will premier in India in November.